Marty Fairgrave is a top Pickup* man in the rodeo. It’s his business to make sure that the bull and bronc riders get back to the gates safely. The riders count on him and he rarely makes a mistake. Then Tripp Colby catches a ride on a bull named Shockwave and the events that follow prove to be a life changer for both men. Marty has been in love with Tripp Colby for several years now and knows that Tripp loves him back. But Tripp is also deep in the closet and not even an injured Marty can make him come out. For Marty the romance is over but Tripp is determined to get him back. But what will a closeted cowboy do when no one is there to pick him up, not even the one he loves? Rodeo Pick Up Men* are vital to the safety of the cowboy. A Pick Up Man’s job is to rescue the cowboy after his eight second ride from a bucking bronc. The cowboy’s job is to first ride the bucking bronc for the eight second ride with one hand, then grab on with two hands and wait until the Pick Up Man rides in along side the bronc and picks him up and they ride off to safety. The cowboy then is easily set down to the ground without injury. The Pick Up Man’s job is also to remove all equipment from the bronc and to remove the bronc from the rodeo arena after the competition. Pick Up Men also play a role in the calf roping and steer wrestling events, by roping calves and steers after competion and gentling coaxing them out of the arena. Pick Up Men are also a vital part of keeping the show fast paced. Pick Up Men have a great rapport with the livestock and have years of training in horsemanship. They are the unsung heroes who time and again save both the rider and the roughstock. So it was wonderful to see a book with a Pick Up Man not only as the title character but as the title itself. Way to give these men their due, L.C. Chase! Two thousand pounds of pissed-off beef, aptly named Shockwave, tossed around the man on its back like a ragdoll. But Tripp wouldn’t be dislodged. He clung to the spinning beast with an ease and confidence that belied the skill and athleticism—not to mention pure guts— required to compete at the professional level. But what happens next takes your breathe away, and its impact upon the reader is immediate and heartpounding. Really, some of the best descriptions happen here. Clearly, L.C. Chase is familiar with the rodeo and has great affection for those who make it their life’s work. And while the fan may only see the 8 second ride, a story like Pickup Men lets the reader go behind the scenes of the rodeo, where a hundred jobs and actions must take place to pull off such an event. This includes what happens when the cowboys are injured and the physical ailments that are part of the job. There is the constant traveling, the stress of being tired for long periods at a time and of course, the injuries. L. C. Chase gets this aspect right as well. But the problem here is the character of Tripp Colby. He is not terribly likable at the beginning. As I said earlier, he is a closeted mess and the reader comes down hard on the side of Marty when the two are apart. Later on as Tripp’s story is revealed, he does earn our compassion, especially during a trip to San Francisco. But for the majority of the book the character that Chase has created in Tripp serves more to disconnect the reader from his story rather than engage them. And, as the book winds down, it is hard to bring the reader back into his corner. There is a considerable amount of miscommunication between the men, including one incident that eludes any type of plausibility for me. And the narrative becomes a little uneven towards the middle of the story. The other thing is that Tripp is 33 years old, and that is old in a profession where most bull riders are between the ages of 20 to 25. It is a young man’s sport. And while most bull riders hate to give up riding, most accept that they have a certain time frame to work with. All of which makes Tripp’s attitude a little more whiney than perhaps the author wanted it to come across. But those issues aside, I did enjoy this story. It moved along at a nice clip most of the time and had a lovely cast of secondary characters that I wished I had seen more of. From Marty’s mother, a champion rider in her day, to his small circle of friends, they are a well rounded and charismatic group. I enjoyed my time with them immensely. So for all those fan of the rodeo as well as fans of L.C. Chase, I can recommend Pickup Men as a fun way to spend the time while waiting for the rodeo to return to cable. Pick it up now! * I have seen Pickup Men written several different ways by several different rodeo organizations. From Pick Up Men to Pickup Men to Pick up men, all seem to be correct. Cover art and design by L.C. Chase. Just an outstanding cover, perfect in every way. This entry was posted in Book Reviews, Books, Contemporary fiction, eBooks, LGBTQ Book Reviews, M/M Book Reviews, M/M Contemporary Fiction, M/M Fiction, M/M Romance, Riptide Publishing, Uncategorized and tagged gay cowboys, gay fiction with deeply closeted character, gay rodeo riders, L.C. 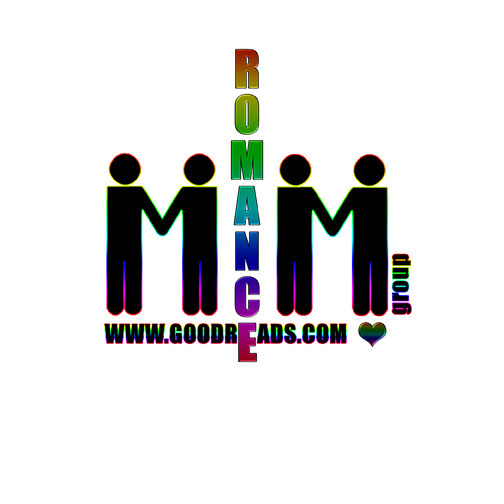 Chase, m/m contemporary romance, m/m fiction, m/m novel, m/m romance, Pickup Men, Riptide Publishing. 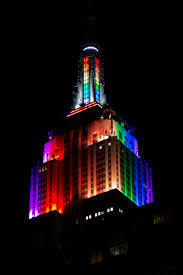 Last week was such an amazing week for the LGBTQ community. SCOTUS ruled on DOMA and Proposition 8, declaring DOMA unconstitutional and returning Prop 8 to the lower courts, essentially removing the opposition to gay marriages in California, marriages which resumed almost immediately following the decision. Celebrations were countrywide, loud and joyous. Even the President phoned to offer his congratulations on the ruling to the couple named in the suit. True, the opposition has vowed to continue to fight equality, but that tide is turned and their efforts will ultimately be futile ones. Some people will always continue to be clueless (see Paula Deen) about history lessons. 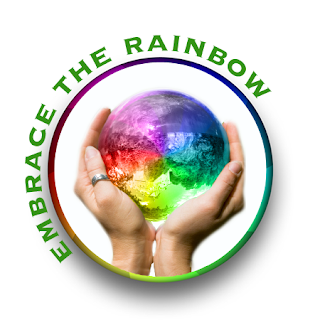 No putting the genie back in the bottle or ushering people to the back of the bus once they have tasted equality. To be adult about it, nuhuh, ain’t goin’ to happen, folks, so just deal! Woohooo, what a week. In the FYI portion of the blog, I found Fynn’s F*&k You Scarf Pattern from Missouri Dalton’s The Night Shift. You can find the pattern here, courtesy of Ravelry and Missouri Dalton. Really, this pattern is too hysterical for words and looks great too. 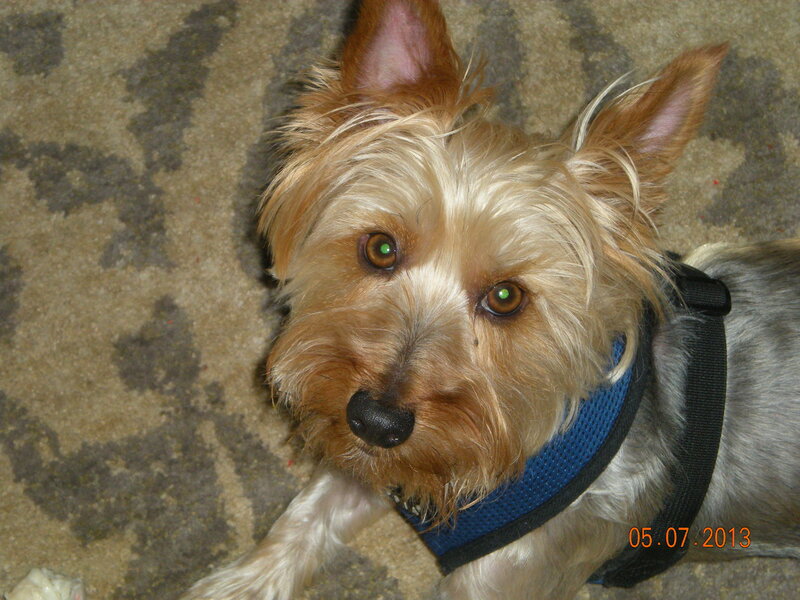 Winston is doing great in his adjustment to the household and other dogs, almost seamless. He is a joy for all of us. New books are arriving in the Bellingham Mysteries series from Nicole Kimberling (Loose id) and the Recon Diaries series by Kendall McKenna, so look for book giveaways soon. It’s been a soggy, humid week around here, with fireworks going off willy nilly it seems at local jurisdictions seemed to have planned Fourth of July celebrations anywhere but on the fourth. Let me tell you, my dogs are not happy about that! Sigh. And here is a Fourth of July cocktail recipe for you to enjoy. Happy Fourth of July in advance! 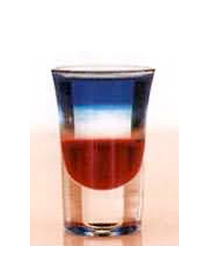 American Flag drink recipe made with Blue Curacao,Creme de Cacao,Grenadine,. How to make a American Flag with all the instructions and ingredients. 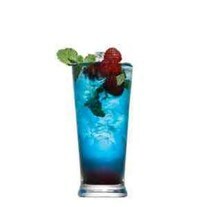 For more Fourth of July cocktail recipes, visit this site. This entry was posted in Book Reviews, Books, Contemporary fiction, Dreamspinner Press, eBooks, LGBTQ Book Reviews, Loose id, M/M Book Reviews, M/M Contemporary Fiction, M/M Fiction, MLR Press, Riptide Publishing, Uncategorized and tagged A.M. Riley, American Flag Cocktail, Bellingham Mysteries, Birds of a Feather, Bully for You, Catt Ford, Fourth of July, gay cops, gay cowboys, gay cowboys in fiction, gay rockstars, gay rockstars in fiction, knitting patterns, L.C. Chase, m/m contemporary fiction, m/m contemporary romance, m/m fiction, m/m romance, Missouri Dalton, Nicole Kimberling, Pickup Men, Scattered Thoughts June Book Review Summary, Son of a Gun, The Curtis Reincarnation, Zathyn Priest.